Triumph India has officially announced the dates of the second edition Tiger Trails Thar Desert. The ride will commence on 30th January in Jaipur and culminate on 3rd February in Bikaner. This Tiger Trails ride is open to all Tiger and Scrambler customers. Registrations for the ride have already commenced. Early birds will get a special discounted price of Rs 35,000 till 15th January. Participants registering for the ride post that date will be charged Rs 50,000. The slots are limited to only 14 participants. 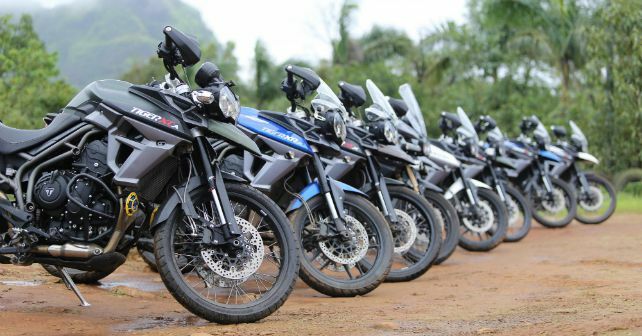 While the Thar Desert edition is open to all riders, Triumph will give preference to riders who have previously participated in the Tiger Training Academy. Coming to the ride itself, participants will be led by ace rallyist and adventure trainer Vijay Parmar. Through the course of the ride, riders will be trained to adopt new riding skills and techniques that will help them enjoy their steeds to the fullest. The Tiger Trails Thar Desert will help riders develop their off-roading skill through extensive riding on sand dunes and salt flats. For the safety of the participants, Triumph will also have a 4x4 sweep vehicle with a mechanic, spare parts, toolkit and food supplies. The Tiger Trails is a great initiative by Triumph for its customers. By organising various guided rides and training sessions for customers, Triumph is helping customers enjoy their motorcycles more. And in the process of doing this, they are also building a huge community around their brand. We have previously participated in the Triumph Tiger Trails in Lonavla, here's all about our experience. Here are some bits of what we learnt at the Triumph Tiger Trails in Lonavla.